One of the fellow “Travellers” over at Citizens of the Imperium asked me if I could do a version of one of his ships. It looked quite cool – a mash-up conversion of several vessels. 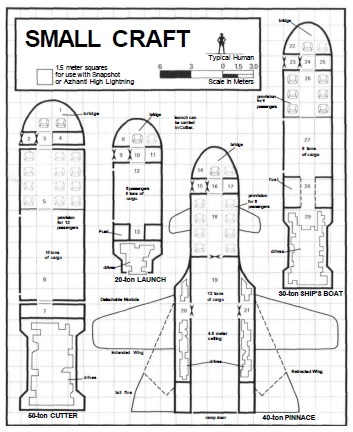 I already had a deck plan for one, but needed a deck plan for the ubiquitous “Ship’s Boat”. So, instead of finishing mowing the lawns like I probably should have while the weather held I did this. There are a few differences between this version and the one presented in Supplement 7: Traders and Gunboats. 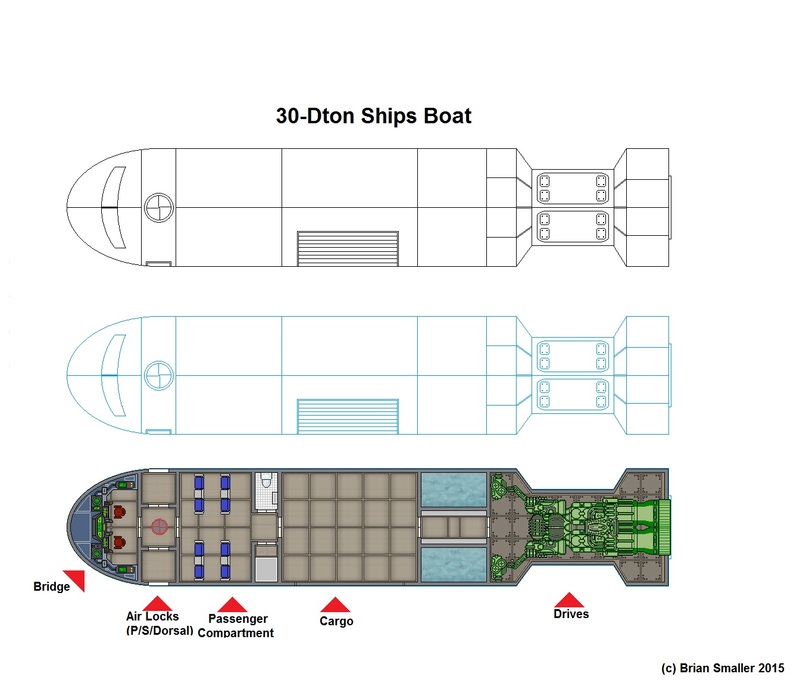 I have now done deck plans for the Cutter, the Launch and now the Ship’s Boat. The Pinnace cannot be far away. First off, I have given it a starboard airlock and also a dorsal airlock. Makes docking, and drawing deck plans, so much easier if I don’t have to orientate a ship upside down. I know space is 3D and all, but I still work in 2D. Secondly, I added another two passenger seats because I had so much spare space. Other than that it is a standard Ship’s Boat.